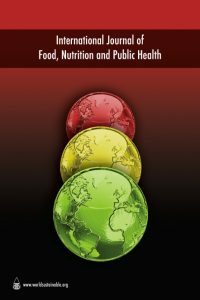 Abstract: Exposure assessment of synthetic food colours in different age and socioeconomic groups of consumers revealed that on average intake of food commodities, only Erythrosine exceeded the acceptable daily intake (ADI) limit in the 1–10 and 11–20 years age groups through sugar toys on both normal (19–115%) and festive occasions (8–236%). However, on maximum likely intake of foods, Sunset Yellow FCF, Tartrazine, Carmoisine and Erythrosine were found to exceed the ADI limits several times, ranging between 14–1, 138% in 1–10 year and 45–765% in 11–20 year age subjects. Among foods predominantly consumed by children, crushed ice, ice-candy, ice cream, beverages, sweets and sugar toys were identified as the culprits leading to excessive intake of colours. The permitted levels of colours allowed in food commodities, need to be reviewed periodically and should be governed by technological necessity and the consumption profiles of the food commodity so that colours do not cross the prescribed ADI-based safety umbrella and pose a threat to vulnerable populations.